Home > Child Care, Preschool & After Care: Nemours Reading BrightStart! Practical, science-based tools and training that integrate child development, early education, and pediatric health principles to address real-life challenges of building early literacy skills. Visit our partner Kaplan Early Learning Company to explore what we offer, or check out sample lesson plans below. Sample a lesson plan here. We put teachers at the forefront of early literacy best practices with an exciting multisensory approach to building reading readiness skills. 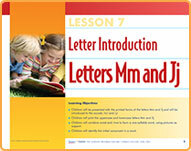 Our program provides teachers with best practices to teach beginning reading and writing. 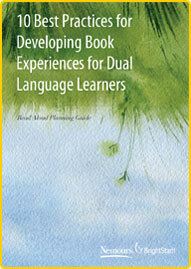 Activities promote oral language, phonemic awareness, phonics, word recognition, fluency, and developmental writing. Use our guide to create a purposeful, effective experience with books for children learning English as a second language. Visit our partner Kaplan for this program, professional training, and many other tools for early literacy success. With the family-educator partnership in mind, Nemours Reading BrightStart! brings you a website to help families understand their child's development and educational needs. Reading BrightStart!Learn more about Nemours Reading BrightStart!